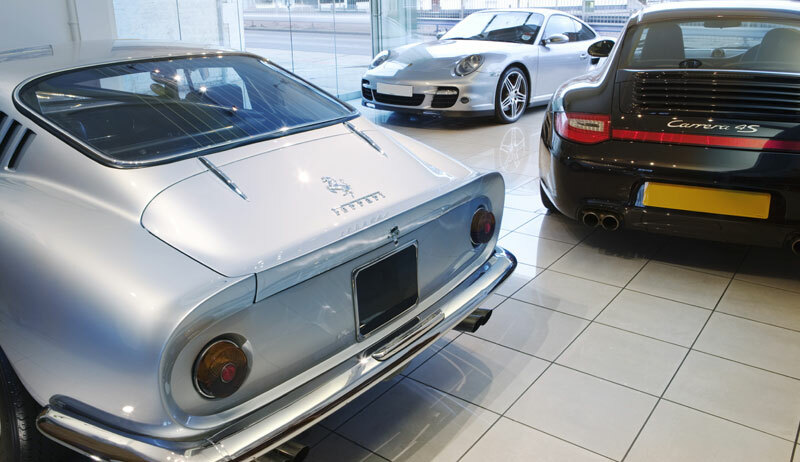 In addition to our long history in the classic and sports car retail business, we have been staunch supporters of club and international motor sports events. Hendon Way Motors has campaigned in every year of the Tour de France Auto (now called Tour Auto) since its reintroduction in 1992. We have campaigned an AC Cobra 289, Porsche Carrera RS, 4.2 E-Type Jaguar (with notable success, winning our group and never being placed outside the top 10) and most recently in a Ferrari 275 GTB/4, also with success. In the late 1980s and early 1990s, Hendon Way Motors’ 308 GTB dominated the Maranello Challenge and finished champions on no less than 3 occasions, with Robbie Stirling behind the wheel. At the more esoteric end of the events programme, our 1966 Ex John Woolf AC Cobra 427, was invited to th 1999 Louis Vuitton at the Hurlingham Club, gaining distinction in the process and was invited to Goodwood in 1990, with Tony Dron driving the hill. Our 275 was exhibited at the 2001 Hurlingham club event. One of the highlights of our year is our visit to the Goodwood Festival of Speed every June. We will be there with a selection of fine and exciting cars and warmly welcome visitors to browse round our selection and join us in refreshments. Another area that Hendon Way Motors has enthusiastically promoted has been in making our stocks available to selected publishing houses and major magazines and the advertising and film industries. 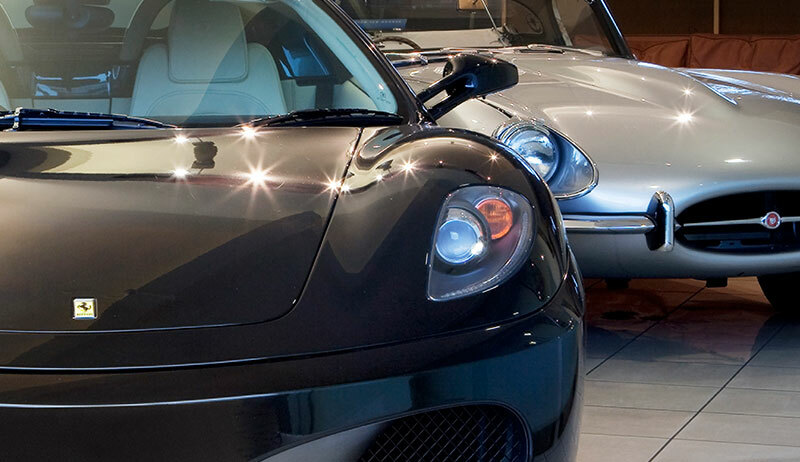 We have been instrumental in providing cars for several television documentaries and have had our cars on the front covers of many of the major classic car publications. 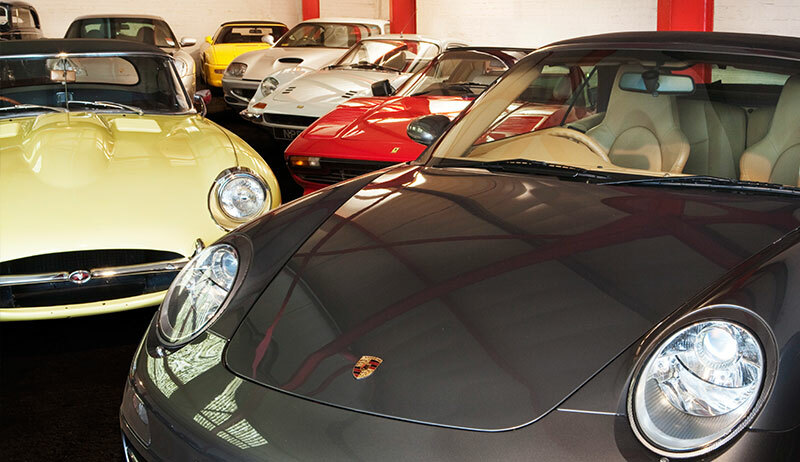 Quentin Wilson’s Dorling Kindersley publication ‘The Ultimate Classic Car Book’ features no less than 7 Hendon Way Motors cars, ACs, Ferrari and Porsche. We feel that it is only by allowing the public at large to see and hear about these wonderful machines that the enthusiasm for classic cars is maintained.